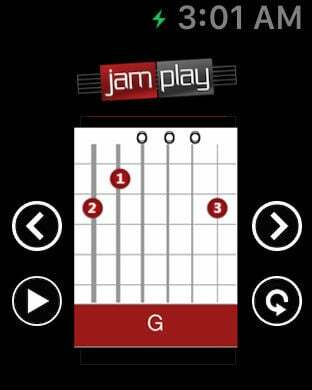 This FREE app from JamPlay is your ultimate chord companion. Our huge catalog of guitar chords will make sure the most basic chords and all variations are always available to you. You'll see exactly which frets to hold and which fingers to use. Once you've mastered a few chords, you can practice them as a part of a chord progression. Choose from chord progressions we have made for you, or make your own! Have an Apple watch? Flip it around so that it's on the inside of your wrist. 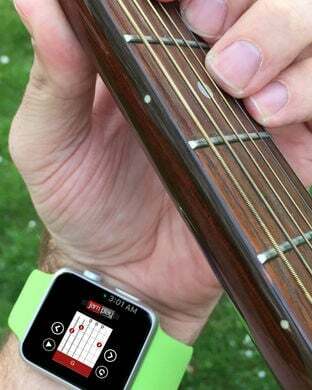 The chord charts will appear on the watch so you can see exactly how to hold the chord without having to put your guitar down!